Madera P, Machala M, Slach T, Friedl M, Cernušáková L, Volarík D, Buček A (2017). Predicted occurrence of ancient coppice woodlands in the Czech Republic. iForest 10: 788-795. Coppicing started in the Neolithic period and has been practiced throughout European history. This traditional silvicultural system was abandoned in many European countries during the 20th century. The Czech Republic now has a very low proportion of coppice woods (CW), as more than 1000 km2 CW were converted into high forests after World War II. Nevertheless, many CW were maintained as stored coppices, which could be the last remainders of ancient coppice woods (ACW) in the Czech Republic. Knowledge of area and distribution of stored coppices is currently missing in the Czech Republic, because they are recorded as high forests in forest management plans. Many stored forests are currently approaching the maturity age, with a high risk that these last ACW remainders will be lost; therefore, an inventory of ancient coppice woods is necessary. In our study, we develop an index of likelihood of coppice occurrence (COP) based on the distribution of habitats favourable for coppices, as well as on past and current occurrence of CW in the Czech Republic from historical maps. COP index values were then used to generate a map showing the relative likelihoods of occurrence of ACW, which can serve as a baseline to support the compilation of an ACW inventory and their mapping in the field. Our results can help prioritize forest areas to be inventoried based on their higher probabilities of ACW occurrence. Tree-rings mirror management legacy: dramatic response of standard oaks to past coppicing in Central Europe. PLoS ONE 8: e55770. Standing advise for ancient woodlands. Version 3. Natural England. Web site. Intensive game keeping, coppicing and butterflies: the story of Milovicky Wood, Czech Republic. Forest Ecology and Management 237: 353-365. Vývoj využití ploch v Cesku [Landuse development in the Czech Republic]. Ceská geografická společnost, Edice Geographica, Praha, Czech Republic, pp. 250. Forest continuity and conservation value in Western Europe. The Holocene 25 (1): 194-202. The role of buried seed in coppice woods. Biological Conservation 21 (1): 19-38. Application of the Czech methodology of Biogeographical landscape differentiation in geobiocoenological concept - examples from Cuba, Tasmania and Yemen. Journal of Landscape Ecology 8 (3): 51-67. Katalog biotopu Ceské republiky [Habitat types cataloque of the Czech Republic]. Agentura ochrany prírody a krajiny CR, Praha, Czech Republic, pp. 445. Vegetation ecology of Central Europe. Cambridge Universtity Press, Cambridge, UK, pp. 753. Field surveys for ancient woodlands: issues and approaches. A report to the woodland trust. Hallam Environmental Consultants Ltd., Biodiversity and Landscape History Research Institute and Geography, Tourism and Environment Change Research Unit, Sheffield Hallam University, UK, pp. 34. The ancient woodland concept as a practical conservation tool in Great Britain. Journal for Nature Conservation 15: 109-119. Half a century of succession in a temperate oakwood: from species-rich community to mesic forest. Diversity and Distributions 16: 267-276. Nízky s strední les jako plnohodnotná alternativa hospodarení malých a stredních vlastníku lesa - obecná východiska. [Coppice and coppice with standards forests - adequate forest management alternative for small and middle forest owners - general starting points]. Lesnická práce, Kostelec nad Cernými lesy, Czech Republic, pp. 296. An ecological study of water-filled tree-holes and their position in the woodland ecosystem. Journal of Animal Ecology 40: 281-302. Coppice woods and pollard trees in the visual arts. Journal of Landscape Ecology 9 (2): 97-108. Coppice-with-standards in floodplain forests - new subject for nature protection. Journal of Forest Science 55: 306-311. Integrating conservation objectives into forest management: coppice management and forest habitats in Natura 2000 sites. iForest - Biogeosciences and Forestry 9: 560-568. Repollarding large neglected pollards: a review of current practice and results. Arboricultural Journal 13 (2): 125-142. Small forest parcels, management diversity and valuable coppice habitats: an 18th century political compromise in the Osnabrück region (NW Germany) and its long-lasting legacy. iForest - Biogeosciences and Forestry 9: 518-528. Alley coppice - a new system with ancient roots. Annals of Forest Science 71: 527-542. The rise and fall of traditional forest management in southern Moravia: a history of the past 700 years. Forest Ecology and Management 331: 104-115. Natural woodland: ecology and conservation in northern temperate regions. Cambridge University Press, Cambridge, UK, pp. 522. Factors controlling the distribution of Tilia cordata Mill at the northern limits of its geographical range. IV. Estimated age of the trees. New Phytologist 112: 117-121. The history of the countryside: the full fascinating story of Britain’s landscape. JM Dent and Sons, London, UK, pp. 445. Ancient woodland, its history, vegetation and uses in England. Castlepoint Press Colvend, Dalbeattie, Kirkcudbrightshire, UK, pp. 584. Woodlands. Collins, London, UK, pp. 608. The archaeology of woodland landscapes: issues for managers based on the case-study of Sheffield, England and four thousand years of human impact. Arboricultural Journal 29 (4): 229-243. 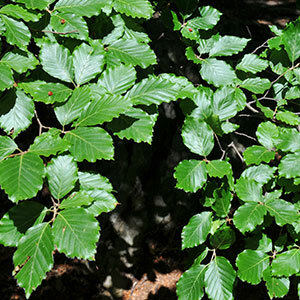 An inventory of ancient woodlands for England and Wales. Biological Conservation 62 (2): 77-93. Past and recent coppice forest management in some regions of South Eastern Europe. Silva Balcanica 10: 9-19. Zastoupení drevin v lesích Ceskoslovenské republiky, díl I [Tree species proportion in forests of the Czech Republic, part I]. Svaz výzkumných ústavu zemedelských a lesnických, Praha, Czech Republic, map 1: 300 000. Mapa lesu podle drevin v bývalém protektoráte Cechy a Morava [Map of forests by tree species in former protectorate Bohemia and Moravia]. Výzkumný ústav lesnické politiky a spravovedy, Praha, Czech Republic, map 1: 300 000. Open woodland in Europe in the Mesolithic and in the Middle Ages: can there be a connection? Forest Ecology and Management 257: 2327-2330. Ancient woodland boundaries in Europe. Journal of Historical Geography 36: 205-214. Driving forces of stability and change in woodland structure: a case-study from the Czech lowlands. Forest Ecology and Management 259: 650-656. Socio-economic demands, ecological conditions and the power of tradition: past woodland management decisions in a Central European landscape. Landscape Research 38: 243-261. Intensive woodland management in the Middle Ages: spatial modelling based on archival data. Journal of Historical Geography 48: 1-10. Temperate and boreal forest resource assessment - Forest resources of Europe, CIS, North America, Australia, Japan and New Zealand. UN-ECE/FAO, Contribution to the Global Forest Resources Assessment 2000, Geneva Timber and Forest Study Papers no. 17, Geneva, Switzerland, pp. 445. Long-term seed bank dynamics in a temperate forest under conversion from coppice-with-standards to high forest management. Applied Vegetation Science 11: 251-260 . 500 years of coppice-with-standards management in Meerdaal Forest (Central Belgium). iForest - Biogeosciences and Forestry 9: 509-517. The application of geobiocoenological landscape typology in the modelling of climate change implications. Journal of Landscape Ecology 8 (2): 69-81. Microhabitats in lowland beech forests as monitoring tool for nature conservation. Forest Ecology and Management 255: 1251-1261.